Empowered by persistent technological upgrades and developments, businesses today are expanding, investing, and merging internationally. This era of global growth holds the potential for profitability for organizations that spread their operations to new markets. To reach such levels, however, businesses will have to embrace new practices tailored to their expanded reach. The financial sector in particular has undergone necessary evolution over the past few years. 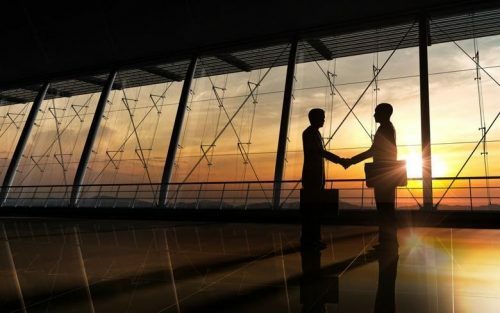 Transactions and investments that cross national borders are subject to many complications, with ever-changing regulations serving as an especially prominent challenge to overcome. The complex and essential cross-border deals being negotiated by today’s multinational corporations will define the next few years of commerce. Professionals considering graduate-level education in finance may therefore find it especially worthwhile to learn the key concepts and trends regarding international transactions. Companies expand beyond the countries where they were founded for numerous reasons. Aided by digital infrastructure, organizations of all kinds have been engaging in this type of growth. Deloitte recently noted that this spread has run into challenges, some longstanding and others becoming more prominent in recent years. These pressures aren’t slowing companies down, just demanding that transnational and multinational entities become more agile and adaptable. Deloitte listed a few of the specific factors keeping companies’ strategies focused overseas despite the inherent challenges of international finance management. For example, when companies observe rising middle-class purchasing power in populous and rising markets, such as China and India, those firms see potential new audiences to consume their products. Furthermore, skills shortages tend to make organizations think about expanding overseas to acquire the labor they need. Equipped with the latest in communication technology, it’s easier than ever to unite workforces that span the globe. The barriers to international expansion are largely related to regulations. Recent years have seen countries become more protective in their tax laws and general approaches to trade, attempting to keep their economies strong at the expense of other nations. Moving funds overseas has always been more complicated than keeping them in one nation due to the need to oblige two sets of regulations. Changing rules and protectionist policies are simply one added level of complexity―when political considerations create updated conditions in the marketplace, organizations must have fast and comprehensive responses ready. Investopedia described some of the specific challenges and opportunities companies will encounter when they venture across international borders, whether they are importing or exporting. The main challenges they’ll face include foreign exchange risk and political risk. Foreign exchange risk depends the fluctuating value of world currencies and is therefore a multifaceted issue based in the many factors that affect exchange rates. Investopedia explained that companies will have to accept a certain degree of unavoidable uncertainty regarding exchanges. Hard-to-predict depreciation of currencies in foreign markets where organizations operate can equal losses for those businesses. When an overseas currency’s value falls on the international market, income in the affected region will fail to have the anticipated effect on the corporate bottom line. Political risk relates to new policies and regulations. As it’s difficult to predict the global political climate years into the future, overseas revenues appear less secure and reliable than domestic income. Negating this risk requires complex maneuvers, such as purchasing futures or insurance for overseas business. The financial professionals who manage companies’ international operations must be prepared to address this risk and uncertainty, in case a governmental change brings about new demands for overseas corporations. Mitigating the financial complexity of international commerce is a role for specialized professionals in today’s organizations—individuals who are attuned to the general concepts driving overseas deals and up-to-date factors affecting all relevant economies. Failure to adapt to a change in policy in time could result in losses for a corporation, while accurate predictions have the potential to improve revenue and boost competitiveness. Chief financial officers will therefore likely find their international experts indispensable over the coming years. Regulations, both international and local, are hard to predict and are always subject to change. Understanding these rules is a defining characteristic of a successful global finance professional. These individuals will be able to prevent noncompliance, improving the direction and effectiveness of organizations of all types, whether their employers are new companies founded in the digital age or legacy businesses seeking to span the world more effectively as they grow. “International Finance Management”: This course helps students develop specific concepts, policies, and techniques for the financial management of a multinational firm. Topics include operation of foreign exchange markets, foreign exchange risk management, sources and instruments of international financing, foreign direct investment and the management of political risk, multinational capital budgeting, and financing control systems for the multinational firm. “Analysis of Financial Institutions and Markets”: This foundational class introduces international and domestic financial systems. Students learn analysis tools and techniques to model economic conditions. They gain new insights into the processes behind exchange rates, interest rates, and the prices of securities. The course also covers the impact of price changes and deliberate government actions on world economic conditions. “Financial Theory and Policy”: In this course, students learn the fundamentals of corporate finance, and discover the processes behind financial decision-making. Asset valuations, risk-return calculations, and the theory behind constructing a modern portfolio are among the topics covered. The course also presents capital structure, dividends, policy issues, mergers and acquisitions, and the legal, ethical, and regulatory sides of international financial activity. 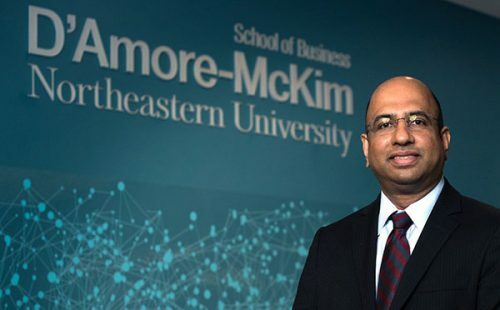 Seeking an Online Master of Science in Finance from Northeastern University’s D’Amore-McKim School of Business is a way for professionals to expand their knowledge in the field of finance. Today, with business operations spanning the globe and international trade accounting for significant percentages of revenue, International finance is one of the most relevant areas of study finance professionals can pursue. To learn more about the program, visit the program page or contact an admissions advisor.